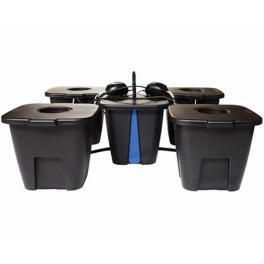 The PLANT!T® aeros IV is a 4 plant Deep Water Culture system, also commonly known as a bubbler system. 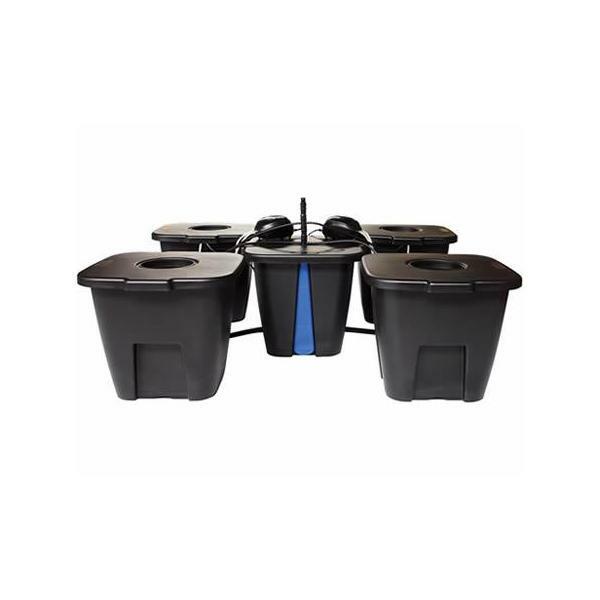 These are very popular hydroponic systems that require very little growing media, but do require a lot of nutrient/water solution. The PLANT!T® aeros IV is best suited for short term and seasonal cropping plants. The plant is supported in a net pot filled with a growing media such as clay pebbles and the roots are submerged in a highly oxygenated nutrient/water solution. The PLANT!T® aeros IV includes 4 aeros modules and a separate nutrient solution master tank with a level indicator. 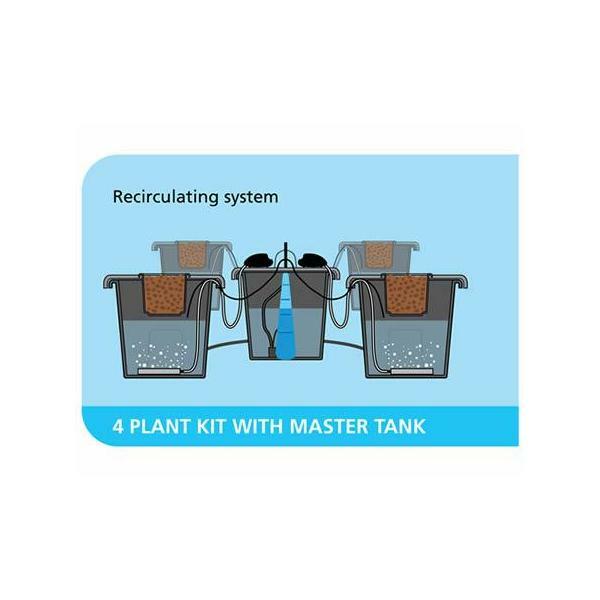 The nutrient solution is recirculated around the whole system with a high quality pump to ensure that each plant receives the correct amount of solution. The two twin outlet air pumps and a submersible airstone in each tank provides a large amount of oxygen to the roots of the plant, resulting in rapid growth.